Yes, I like the taste of it, but moreover I really just like the way it looks in the garden. 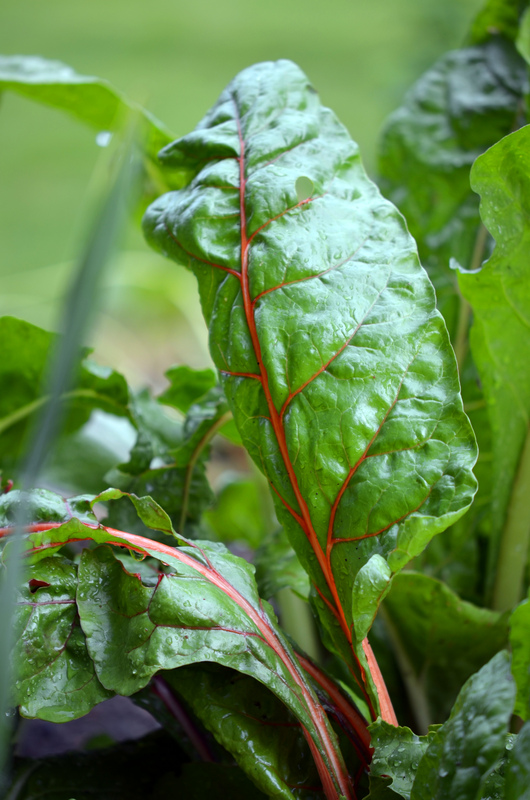 Healthy chard leaves are broad and waxy with full-bodied color and interesting contrast between the green leaves and the veins/stems. Individually, I’ve planted the appropriately named “Fordhook Giant” with the whitish stems along the Ruby Red variety. But the grab-bag “Rainbow” packages offer some of the prettiest plants. Yellow, orange, peach, white, red, these group together nicely until you can no longer resist and start harvesting. There isn’t actually a “rainbow” variety, these are all separately grown by color then the seeds are mixed for sale. This patch was almost abandoned when sprouting due to heavy slug attacks but eventually they relented. We can see this little patch from the sunroom and as pretty as it might be, it is harvest time. Even though this is one of the front “herb” beds on the daily drip irrigation cycle, the intense sun and heat of July in Georgia will be too much for it in this location. Besides, the volunteer Dill that has come up among and adjacent to it is ready to own the location. ← Ask For A Refund? I have not started my Rainbow yet, but maybe late July for a fall crop. Im letting my Kale from last fall go to seed this year and Im going to save it. Your photography is most excellent B. They look great! 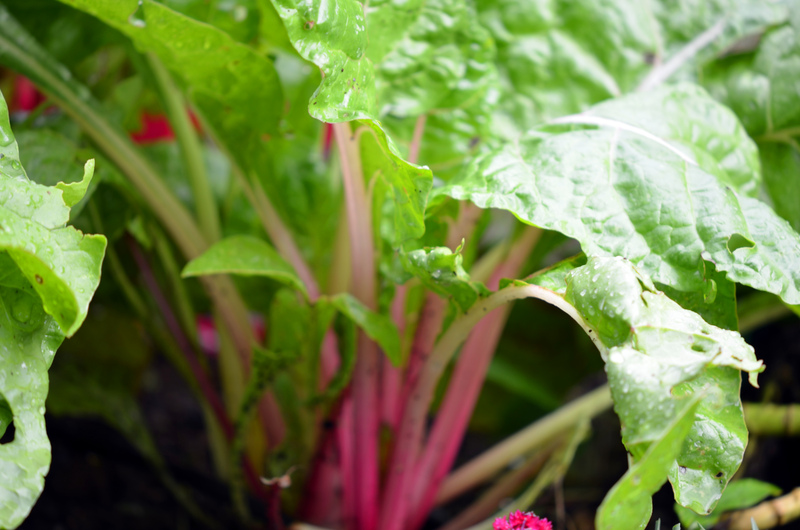 We planted a row of Swiss chard, and it’s not looking so hot They were doing well for a while, and now it seems they haven’t grown at all in the last few weeks! 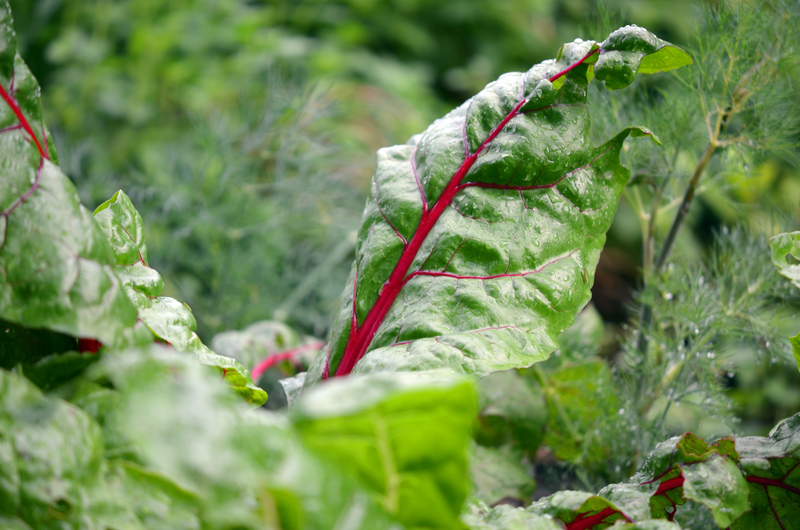 Chard make good chips. Try it. 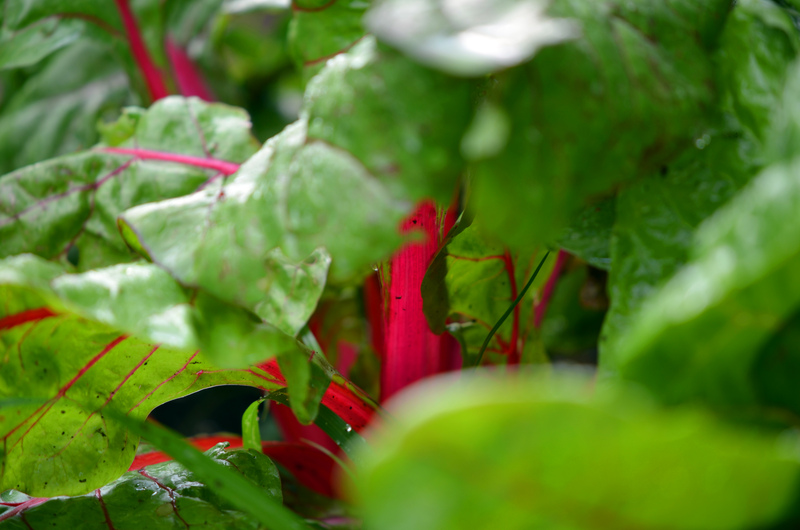 Beautiful stuff…chard. Looks beautiful…tastes beautiful…and how beautifully it photographs.